If you forget to pay attention to the time while comfortably hiking, feel free to come inside and stay for a night, before it gets dark. We offer sleeping camps and comfort rooms, all designed in our Tirolean style. 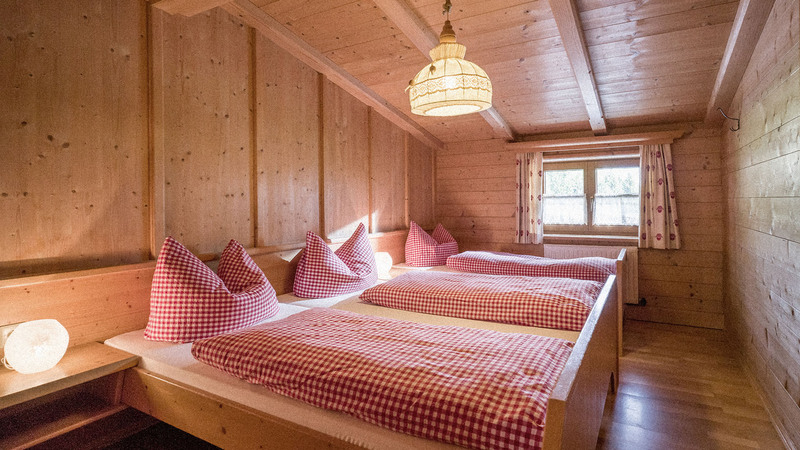 Our double and shared rooms are cozy and equipped with furniture in the rustic Tirolean style. Partly with shared shower, located on the floor or own shower in the room.Please note: weekends are the busiest days of the week, we are fully booked fast. Our recommendation: Plan your trip during the week and we will do everything to enable an unforgettable stay.